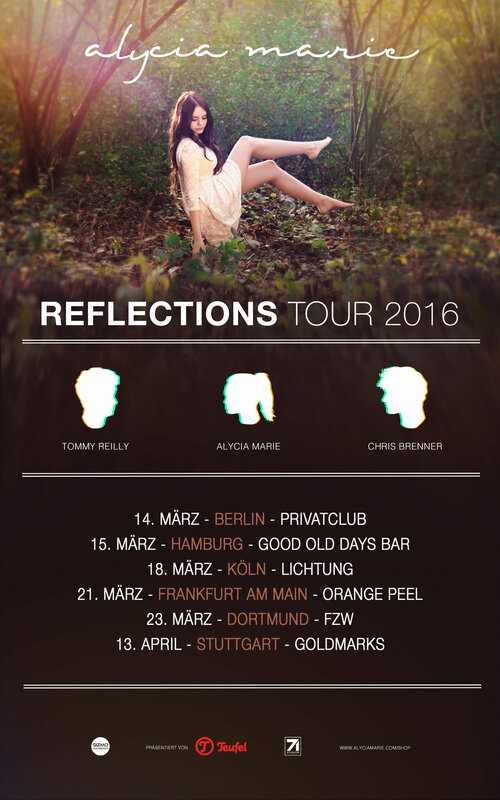 In March/ April GIZMO Management booked the Reflections Tour 2016. Alycia Marie, Tommy Reilly, Ryan Joseph Burns and special guest Chris Brenner toured Germany playing six sold out shows plus a sponsored gig at the TEUFEL flagship store in Berlin at the end of the tour. Throughout the tour friends like Kim Leitinger, Jannik Brunke and Johannes Weber joined for spontanous guest appearances on stage and the emotional meet & greets with their fans after the shows. The tour was set up in collaboration with the crowdsourcing platform Stagelink. During a period of four weeks fans of the participating artists were invited to vote for their cities.